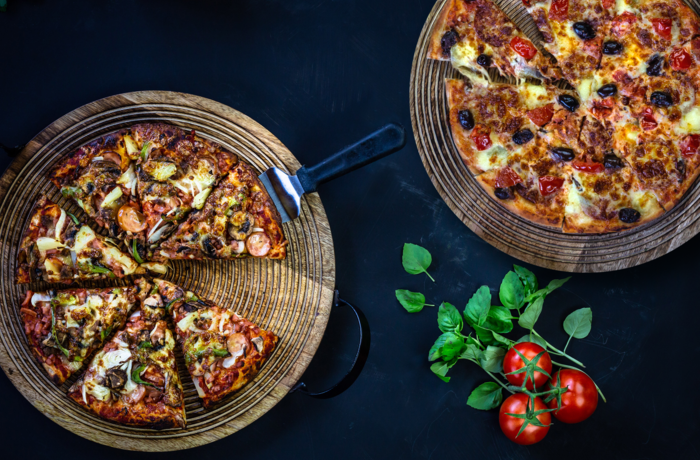 Boasting new decor and outdoor dining, and an owner/manager with over 35 years’ experience in the pizza industry, Gosford Pizza Inn is the perfect venue for your next function, family dinner or a quiet night for two. Monday nights feature our “ALL YOU CAN EAT PIZZA” night, which has proven so popular that it is now a permanent fixture and allows customers to sample all of our huge range of delicious pizzas till their bellies are full, for one small price*. At Pizza Inn we pride ourselves on making the best pizzas in the Gosford area. Come and taste the Pizza Inn difference! Of course pizzas are not all we sell – we also have pastas, ribs, wings, nachos, garlic breads and desserts. Gosford Pizza Inn is now licensed and offers a range of wines, beers and ready mixed drinks to enjoy with your meal. Great espresso coffees, milkshakes and spiders are also available. Gosford Pizza Inn is conveniently located right next to Gosford Railway station, with parking available, so you can drop in and grab a coffee on your way to work or stop by on your way home after 5pm and pick up a sumptuous take away pizza for dinner – 7 nights per week. And of course there’s the option of delivery** within the Gosford and surrounding areas. Dine in with us today, or call us for delivery or take away pizza in Gosford and surrounding areas. We look forward to seeing you soon! © Copyright 2011-2019 PIZZA INN. All Rights Reserved.